Imagine a once in a lifetime experience that puts you at the heart of Liverpool FC. You’ll train alongside LFC Legends and develop your skills before you embark on the ultimate Reds fantasy – playing a match on the hallowed Anfield turf with either Phil Thompson or Luis Garcia as your team’s manager. 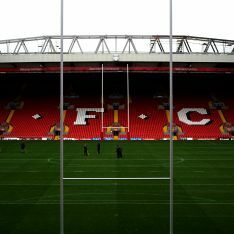 Rugby League will return to Anfield Stadium next year when the LFC will host Super League’s Magic Weekend. The rugby spectacular will take place across the May Bank Holiday weekend from Saturday 25 May and Sunday 26 May 2019. 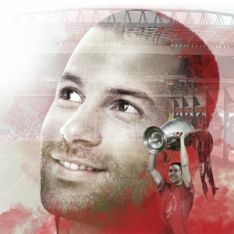 The Red’s iconic home provided the perfect setting for England’s memorable Second Test win against New Zealand, and now all 12 Super League clubs can relish the prospect of playing in front of the world-famous Kop. 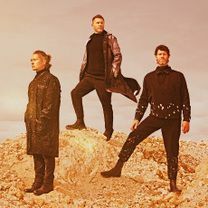 Take That have become the first Anfield gig to be announced for over 10 years. The three piece will visit Anfield Stadium on Thursday 6 June 2019 as part of their 30th anniversary tour. 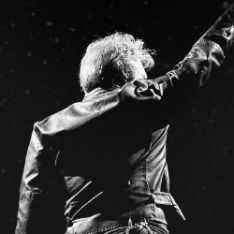 Bon Jovi will bring their This House Is Not For Sale Tour to Anfield on 19th June 2019 – Returning to Liverpool for the first time in 33 years. P!NK will bring her Beautiful Trauma Tour 2019 to Anfield on 25th June – the first time she has performed in Liverpool since 2009.